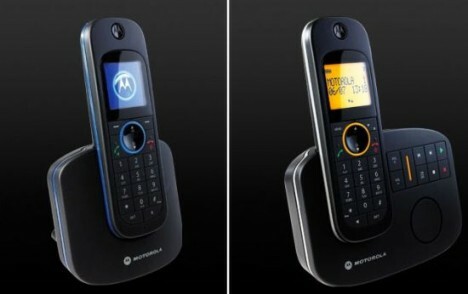 Motorola, the world’s well known for innovation in communications has launched its highly stylish digital cordless phones D10 and D11 for eco conscious homeowners. The latest cordless phones are created by its award wining team. Users can activate the intelligent ‘eco mode’ which use less battery power and augments talk-time. Apart of that, the materials used in the phones are 20% recycled which able to help reduce the carbon print. Both phones are ultra-slim which features with ‘easy to read’ backlit displays, polyphonic ring tones, hand-free speakerphone and 100-entry phonebooks. Both D10 and D11 features a digital answering machine which boasts of both visual and audible message alerts as well as remote access to messages. The phones are available from November 2008 through high street retailers, catalogs and Motorola dealers. Message indicator for the answer machine. An illuminated 4cm full-color screen.